Q. 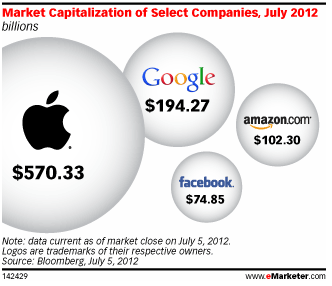 How do I find a public company's market capitalization (market cap)? 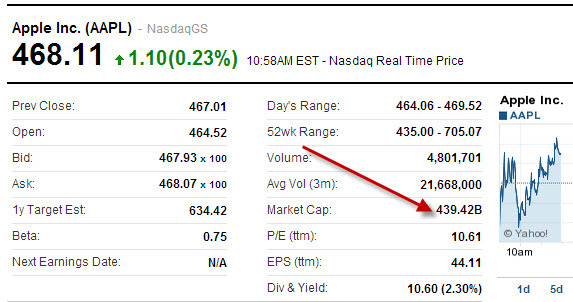 Definition: The market value of a company's outstanding shares.